You lead a busy lifestyle, and at times, cleaning the floors can become a pretty overwhelming task. Especially cleaning your entire home. 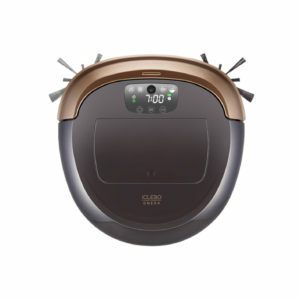 You no longer have to worry about this daunting task thanks to the iCLEBO Omega Cleaning Robot. Once it’s charged, the robot maps and plans the best path to clean, and constantly updates the layout of your home by taking photos every minute. The robot is also programmed to cleverly avoid furniture, objects, obstacles and stairs without hitting or damaging anything in its way. Efficient in it’s process, the iCLEBO will clean from hall to hall, room to room systematically.